Laura Brandon's promise to her dying father was simple: to visit an elderly woman she'd never heard of before. A woman who remembers nothing-except the distant past. Visiting Sarah Tolley seemed a small enough sacrifice to make. But Laura's promise results in another death: her husband's. And after their five-year-old daughter, Emma, witnesses her father's suicide, Emma refuses to talk about it - to talk at all.Frantic and guilt ridden, Laura contacts the only person who may be able to help. A man she's met only once - six years before. A man who doesn't know he's Emma's real father. Guided only by a child's silence and an old woman's fading memories, the two unravel a tale of love and despair, of bravery and unspeakable evil. A tale that's shrouded in silence...and that unbelievably links them all. 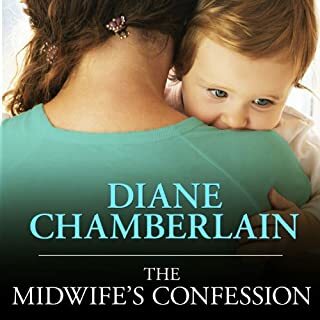 Would you try another book from Diane Chamberlain and/or Justine Eyre? Yes just not read by this narrator. I tried to listen because the story sounded very interesting but I just couldn't do it. What didn’t you like about Justine Eyre’s performance? I can't finish the first chapter of this book because the narrator whines and sounds as though she is about to burst into tears. She sounds this way even when she's reading as the child. I have never stopped a book this early but I can't stand her voice. Another great book by Chamberlain-maybe a little slow at times-or maybe just dragged down by the awful pretentious narration! Would you listen to Breaking the Silence again? Why? What other book might you compare Breaking the Silence to and why? Anything else by the author, others have been great to listen to such as Silent Sister. Needed a different narrator. May have just been the person reading it but the story was very hokey. What made the experience of listening to Breaking the Silence the most enjoyable? You know that there has got to be more to the story but you just can't figure out what it is. I listened to every last word of this book and it took more twists and turns, and they were all very feasible story lines, not something that you would find hard to imagine. That its based on events that really happened. Maybe not exactly as told in this story, but the thread of the story is based on facts. What does Justine Eyre bring to the story that you wouldn’t experience if you just read the book? She is a good narrator, she told the story well. Because of this book I will listen to other books by this author, and I will recommend this book and author to others. 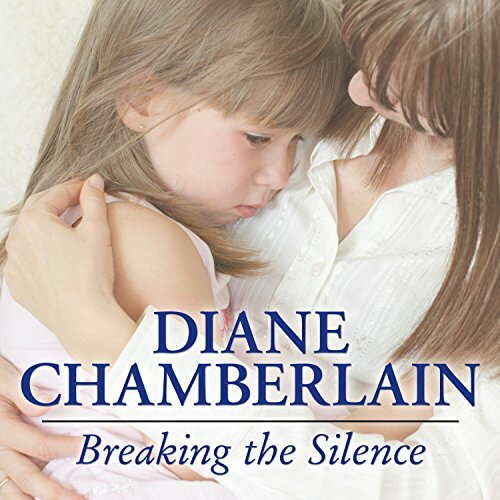 I so enjoyed the Silent Sister that I couldn't wait to hear more of Diane Chamberlain's books. 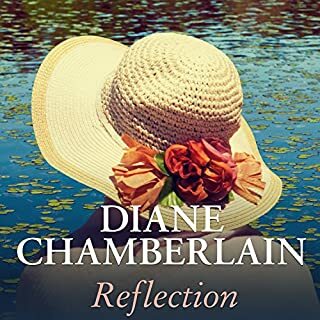 Breaking the Silence, while the story was enticing, the narrator read with such a breathy, quiet voice I found myself backing up repeatedly to hear what she said. Sorry. Don't think I'll listen to any more in this genre for a while. What was one of the most memorable moments of Breaking the Silence? When Laura found out her dad wanted her to care for a complete stranger with no explanation. Kept me listening to just find out why he cared for her all these years without his daughter knowing anything about her. Not much. As I said above, she was too breathy and quiet for me to enjoy. Probably. Like the premise of the book. 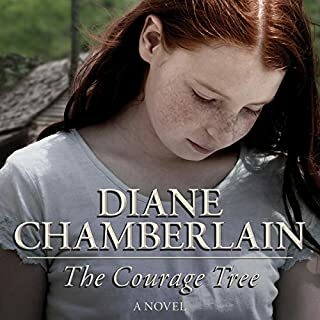 As all of Diane Chamberlain's books, she grabs you right from the start. The twist and turns keep you interested. Yes, she was pleasant to listen to. She was a good actress, playing each character. 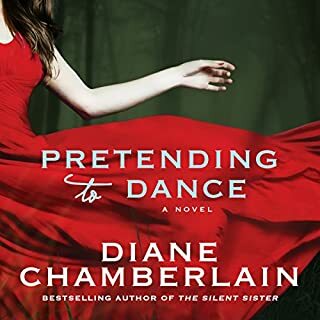 I will not quit until I have listened to all of Diane Chamberlains books. So far I have loved them all. Story is outstanding, but I barely got through with the terrible narration. Story was great, but please never use this narrator again! I rarely complain but, the narrartor sounded like she really just wanted to take a nap instead of reading. This really made me want to nap, so sad the story had alot more to offer. Dylan, he was just so pure about his feelings. I was hooked onto this performance of a wonderfully original narrative. 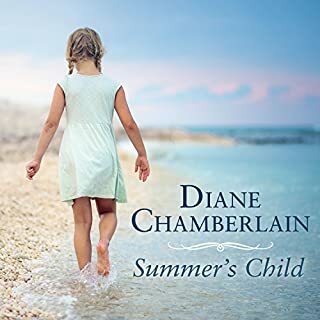 Unlike other “silent child” stories I have listened to this was entirely believable and the author has cleverly combined a number of current issues - guilt about the past, casual relationships, the onset of Alzheimer’s. The conclusion was as sad as it was moving. Unusually I felt that these were characters I really wanted to keep in touch with. I will be listening to further stories from this author. Unlike other listeners, I found the rendition of the stories and the various voices by Justine Eyre entirely appropriate. At no time did her voice drop (always an issue when listening in the car) and after the first few minutes her voice became that of the characters rather than as narrator of the story. I haven't listened to it all as the narrator had such an uninviting weird tone, gave up after 4 chapters. Will read it on kindle instead. I couldn't stop listening to this - found myself sneaking out into the kitchen hoping there was washing up to do so I could listen to a bit more! The plot is so clever with a couple of twists I didn't guess. Fascinating yet disturbing storyline inspired by secret experiments carried out in psychiatric hospitals in the 50s including lobotomies, LSD drugging and electric shock treatment. It's about one family whose lives are changed forever by the deeds of one maniacal doctor. The mystery unfolded brilliantly. Narrator was flawless. Highly recommended. Atmospheric and clever story, with an unexpected the conclusion. A page turner well narrated, this novel was hard to put down. Loved the narrator. Interesting story that kept me engaged the whole time. Very enjoyable. 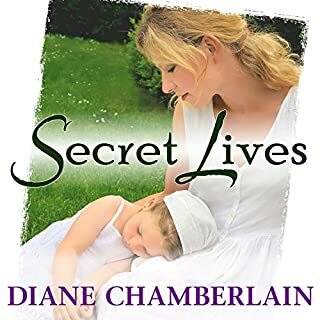 First book I have read of Diane Chamberlains. Already downloaded another. Really enjoyed that she finished the story. Many writers these days leave you wondering what happened to the characters. Diane left you feeling satisfied..